Wine Road Episode 45 - Taste the future, from our cellar to yours. In this episode Marcy and Beth start off with the Wine of the Day from David Coffaro then dive right in to the Word of the Day, Tip of the Day, and Book and Item of the Day. Wowza! 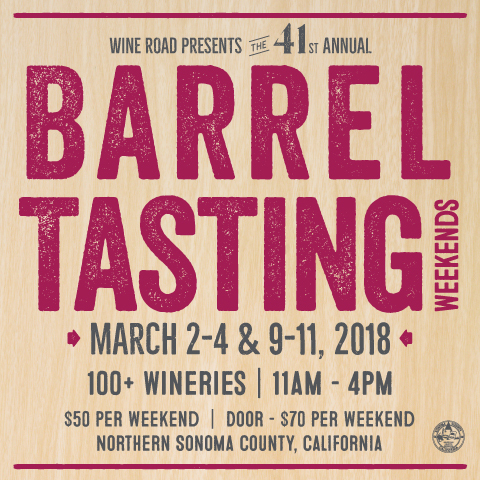 Beth then shares all that is Barrel Tasting as the event dates are quickly approaching. The ladies remind us to enjoy Valentine’s Day along the Wine Road or meet up with Wine Road wineries on the road at a Food and Wine Festival in Palm Springs.